Vampire Beauties: Vampiress Review: "Lake of Dracula"
Vampiress Review: "Lake of Dracula"
The Gist: A young woman who was led to believe her childhood run in with a vampire was imaginary learns otherwise when people around her begin dying in what looks like vampire attacks. Clarification: This film is pretty much a Japanese version of the film The Brides of Dracula. Similar story, with a very Hammer Horror feel to it. Much like that film Dracula isn't actually in this one either even though his name is in the title. In this case the vampire in the film is said to be a descendant of Dracula. Selling Point: A pretty good attempt at a Hammer style horror film. Female Vampire Factor: Exactly like Brides you have two. Unlike Brides only one fangs out and they are never on screen at the same time. One of the vampires early victims turns in the film but offs herself not long after by throwing herself off the rook of the hospital her body was taken too. This is where the inspiration from Brides is pretty obvious with her turn which almost mirrors Andree Melly's "Gina". I give the film a Vampire Beauty Rating of 4 out of 5. 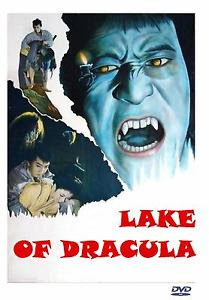 Hard to find a vampire film from Japan during this time frame that doesn't go with the Jiangshi (blue hopping vampires) over just your standard fanged walking undead so this is very much appreciated. The vamps in this film aren't in it very long which is the only thing holding it back.